Hello everyone! Laurel here today to bring you our JULY Pin-Sights challenge and also to announce the randomly selected Mix It Up Challenge participant from our latest Mix it Up Challenge! 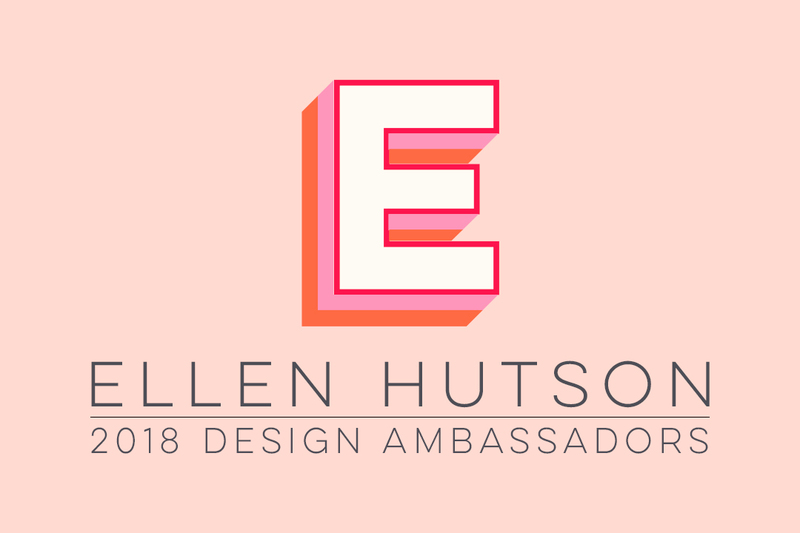 Please put your hands together for MeganBeth, who was randomly selected to receive the $50 gift certificate to the Ellen Hutson store!!! Please email me at (laurelbeard at me dot com) to claim your prize!!! The Pin-Sights Challenge is an inspiration challenge based on a Pinterest inspired piece to spark your imagination and creativity that will be held on the 3rd Thursday of every month! I love these colors and all the patterns within these photos! And I especially love all the sweets in the photo, lol! I have a really bad sweet tooth! Strawberries and coolwhip! Strawberries and chocolate. Chocolate.... Ok, off topic!!!! We have THREE amazing designers here today to spark your creativity with their talents based on the above inspiration piece. If you click on each of the designer's names, you will be taken directly to their blog to see more information and photos! All the supplies the designers used will be listed at the end of this post along with our Challenge Link up so you can play along! YES! PLAY ALONG!!!!! So... are you ready to be inspired????? Let's get to it! And just how amazing are these projects? I love how different all the projects are even though they were inspired by the same piece! Seriously, #bestdesignersever!!!!!!! You have until July 31st to link up your projects below. (We are giving you a few extra days to account for the 5th week) You will find the link up at the end of this post. The will be announced on August 6th.